The Greek Minister of Foreign Affairs in NUPI to talk about the country’s foreign policy towards the EU and Greece’s role in the region. This is a closed rountable. Participation by invitation only. 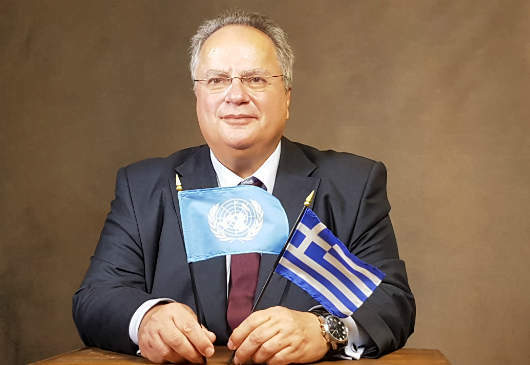 Nikos Kotzias studied Economics, Political Science and Philosophy, Law and European Integration in Greece and in Germany. He worked as a researcher and taught at the Universities of Marburg, Oxford and Harvard, and he holds the position of Professor of Political Theories and International and European Studies at the University of Piraeus. He has specialized in issues of policy and political systems, societies and foreign policy of Brazil, India and Russia. He has been a member of many globally recognized international research teams on contemporary issues. Until 2008, he served as an Expert at the Foreign Ministry leaving with the rank of Expert-Ambassador. At the Foreign Ministry, he headed a number of research and planning teams. He served as a member of the first National Council on Foreign Policy. He has participated in many important negotiations, successfully defending and promoting Greece’s interests and positions. Full speech as flow , NUPI Director Ulf Sverdrup chair the event. It is a great pleasure to be with you here in Oslo and I am very honoured to be invited to the Norwegian Institute for International Affairs (NUPI), first, in my capacity as Minister of Foreign Affairs, but also in my preferred capacity, as a professor of International Relations and Foreign Policy at the University of Piraeus. Today I intend on focusing on the principles and main elements of Greece’s foreign policy in the midst of major international developments. We all agree, I believe, that times are changing. Major geopolitical changes have been occurring. We are not living the end of history, as was once maintained. Rather, we are witnesses to the beginning of a new era. The most important change is that the role of the West is slowly declining; its once unchallenged supremacy is now being effectively challenged by new emerging players. From a post-war bipolar system and the unipolar world which ensued following the collapse of the Soviet Union, we have been steadily moving towards a multi-polar system, in which the balance of power has not yet reached its equilibrium. Will we witness a smooth transition to a new equilibrium, or will we encounter frictions, the phenomenon of “Thucydides Trap”, a term coined by Graham Allison of Harvard, in order to describe the tensions between the dominant and the emerging power? In parallel to the decline of Western power, we observe a relative decline of appeal of the -once unchallenged- system of values that characterize western civilization. To give an example: the universal acceptance liberal democracy enjoyed after the Cold War as a system of political organization, is now being challenged by the economic success of states with alternate systems (China) and the influence they exert in the developing world. There is therefore a need to renew the appeal of our values by adopting a more positive agenda. A. In the aforementioned context, I have chosen to begin with the element that is dominant in the shaping of the Greek Foreign Policy, and that is geopolitics. 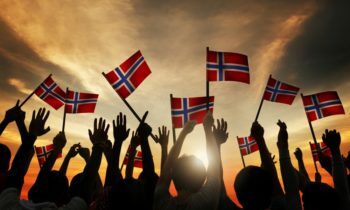 If I may draw an analogy, Norwegian foreign policy is very active around the world, but the area of its vital interests lies in the North, where it is situated. Hence, the development of the “High North” policy. Respectively, one of Greece’s areas of key interests is located in the Balkans, where it geographically belongs, irrespective of the fact that, for almost five decades, it had been politically detached from its immediate environs. The collapse of the Warsaw Pact signified the end of this externally imposed anomaly and the beginning of an era of steadily increasing multifaceted interaction among the states and peoples of the region. Today, Greece is fervently supportive of the Western Balkans’ process of integration to the EU and the north-Atlantic defense structures, as we believe that it will be to the benefit not only of ourselves, but our region as a whole. As I already mentioned, however, Greece is faced with key challenges that stem, often simultaneously, from its South, its East and its West. We always have to keep an eye on what occurs in our immediate neighbourhood, i.e. the Mediterranean, Turkey, the Middle East and North Africa. We are situated in the middle of a triangle of instability, as I often like to describe it. At the top corner lies Ukraine, which is in deep crisis. On the bottom left lies Libya, where a brutal civil strife does not seem to have reached its end. And at right, lie Iraq and Syria. These three regions are going through very serious crises, though of different degree and substance. These crises – and various other parameters – have put the stability of the wider region at risk. In this sense, geopolitics requires for a 360 degrees approach in Greek foreign policy. B. A second element we need to bear in mind is that Greece is recovering from one of the most profound economic crises that hit the world in recent history; a financial crisis that lasted longer than that of North Korea (1990-1997) and has had worse repercussions – given, of course, that we started from a much ‘better place’. Greece’s modern-day ‘Odyssey’ is now over, as Prime Minister Tsipras recently asserted. Our foreign policy now emerges wiser, much more linked to the principles of economy and cost-effectiveness. We are shaping a foreign policy of peace, of smart power, of dialogue. Even after years of recession and GDP reduction, Greece is still by far the biggest economy in the Western Balkans and possesses assets, such as its human capital, its ports and infrastructures, indispensable to the economic development of the whole region. C. A third set of elements we bear in mind when formulating our foreign policy are the major changes taking place in our world – this is my favourite subject. I could go on for hours talking about the fourth industrial revolution, the second machine age and so forth. But we don’t have time to delve into this here. What is important to mention, however, is that foreign policy must be flexible, able to adapt to these new realities. It must avoid getting trapped in the past. D. In order to better describe and analyse Greek foreign policy in this framework, I have chosen to present it to you in a codified form, based on the twelve principles of our foreign policy. Principles that are linked to and promoted through the sixteen initiatives and nine international formations that we have created during the four years we have been in office. The first principle is that one must exercise a proactive and not a passive foreign policy. Proactive foreign policy dictates that you take initiatives and do not just expect your problems to somehow find their solution, while you remain in a state of inertia. Or, that you can put off dealing with your foreign policy issues indefinitely. Characteristic of this attitude is the difference over the name issue we have had with North Macedonia and longstanding problems with Albania that impeded the development of our relations. But, this is a policy that does not befit our modern world. Therefore a policy of this kind is a passive policy that simply waits for something to be done from the outside, or by third parties, and implies that Greece and its foreign policy could in this way be ‘delivered’ from one problem or another. In contrast, what we did and continue to do is promote a proactive foreign policy. Taking initiatives. For example, when we came to power, and despite our having to deal with a very negative personality at the head of the government of North Macedonia, Mr. Gruevski, we introduced 21 confidence-building measures (CBMs), which included cooperation between universities, a new natural gas pipeline, new railway lines, etc. This policy’s purpose was to build trust between the two sides, so that steps toward resolving the name issue could then follow. The CBMs created trust. In our neighbouring country, during the controversy over the name, the impression came about that we in Greece were against their very existence as a state. That Greece, like other states, wanted their country to break up. I am the first Greek Minister of Foreign Affairs to have visited North Macedonia, and in a press conference, after four hours of consultations and in front of 400 journalists I told them that we view their country as ‘God’s gift’, but that they had the wrong ‘Godfather’. In this way, I wanted to make the distinction and say: “We are pleased that you exist, but the problem is your name. However, this does not mean that we have other problems with you.” I have the feeling that, after years, this was the first time they started to rethink things. It is only because we thoroughly prepared the ground that we were able to reach the agreement with the government in Skopje last June. The Prespa Agreement is neither the outcome of circumstance in Skopje or in the region, nor the result of “external pressures”, as was often asserted by opposition parties in Greece. On the contrary, it was our own choice to take a proactive approach, to determine our external relations on our own, not let them be determined by others. Through this same proactive foreign policy, we are close to resolving decades-old problems with Albania. Very soon, I believe, we will complete the negotiations on a package of ten issues. This package includes the delimitation of borders and maritime zones, and so on. The issue is that these problems with these countries were not created and resolved during the Cold War, as happened in other cases, like the Oder–Neisse line between Poland and Germany. On the contrary, the problems I am referring to emerged after the end of the Cold War: North Macedonia was part of Yugoslavia, so there was no issue of recognizing it as a state. Albania was under the isolationist regime of Enver Hoxha, so there was no chance of negotiating with it. Therefore, our thinking was, and still is, to resolve these issues by taking initiatives. Because, you know, when diplomacy remains idle, problems are not resolved in peacetime. These problems are usually resolved through war – cold or ‘hot’ – and at a much higher cost. It is in this context of proactive foreign policy that we took the following very interesting initiative: we created a special Conference on the Protection of Religious and Cultural Pluralism in the Middle East. I know it is an area for which Norway has a particular interest. We had the good fortune, as the only European country, to bring together, in Athens, all the leading personalities of the various Churches and cultural communities of the Middle East; some 400 of them. And in October 2017 we organized a second Conference in collaboration with Austria and the UAE. When we launch an initiative, we want to do it in a proactive way and try to extend it by organizing it with other countries. We are not egocentric. The second principle, which sounds obvious but, in our region, is not, is the creation of a positive, not negative, agenda. I will mention two of our initiatives which we took in the context of promoting a positive agenda in South-eastern Europe: One involves cross-border cooperation with our three northern neighbours: Bulgaria, North Macedonia and Albania, on issues such as civil protection and fire-fighting (because wildfires know no borders; one might say they are ‘supporters of globalization’) to issues of security, energy cooperation and the like. Another similar initiative is Euromed. It concerns the seven EU member states of the European south: Portugal, Spain, France, Italy, Malta, Cyprus and Greece. Smaller countries, as well as larger ones (including the 2nd, 3rd and 4th largest EU member states), which raise within the EU the social issues that have more or less been lost in the intra-EU dialogue, along with cohesion issues. I could mention more examples, but the point remains the same: This positive agenda of cooperation on low politics will ultimately enable us to better deal with the more intricate and politically sensitive issues in our region. The third principle is a proposal regarding the relationship between foreign policy and history. In other words, in conjunction with the two previous principles, we add something specific: a formula for the future. There is an old, interesting saying of Churchill’s, which is a little funny and a little sad, because the British had got deeply involved in our region: “The Balkans produces more history than they can consume.” He meant, in other words, that the Balkans have a hard time managing even their own history. I came up with another phrase that can be used on a general level and contains positive elements: “History must be a school, not a prison.” To a significant degree, until the time of our government, the Balkans, Southeast Europe, were a ‘prison’ of prejudices and stereotypes, and not a land of peaceful cooperation. Based on this principle, we set up our cooperation and all the various platforms that now exist with Tirana and Skopje. I believe that, in this way, we succeeded in dealing effectively with the problems of the past. The fourth principle is to make sure we learn from our experience. That is, that our proposal does concern the future, but at the same time it draws lessons from the past, from our experience, from our mistakes. The Czech thinker Karl Wolfgang Deutsch came up with a very good definition of dogmatism: “Dogmatism is not one view or another, which may be wrong. Dogmatism is not being in a position to learn and be renewed.” In other words, dogmatism means not being able to learn and move ahead. In our study, we concluded that, following the collapse of the governments in the Balkans, Greece reacted arrogantly. We created a network of banks and investments, but, I would say, with an element of arrogance, which was abundant in the 1990s due to unrestrained economic liberalism that followed the collapse of communism. What did we learn from this? Greece is a very small country on the global scale. It is not easy to overcome that. In Europe we are a medium-sized country. But in the Balkans we are a very important country, both institutionally and in terms of our productive capabilities. As I said, we are still the largest economy in the region, but this cannot lead us to deal with the other countries arrogantly. My view is that when one is more powerful and has good, solid institutions, one also has bigger responsibilities. That, given the fact that we have greater responsibility, we are obliged to make compromises. Because one’s ability to compromise is an indication of strength, not weakness. That we must lead in this culture of compromise and consensus among the states. The signing of the Prespa Agreement is the epitome of a structured and just compromise in the region, the very first initiative of such kind in the Balkans. And it seems to have a beneficial influence, serving as a source of inspiration for others in a region with longstanding disputes. The fifth principle is to exercise a future-oriented policy, and not look constantly to the past. As you know, we have a long history spanning thousands of years. Sometimes we tend to cling to this history and think of how important we are because of the past. Challenges do lie ahead and we have to face them. For example, a big question arises because of EU enlargement. If the EU enlarges further, it will include the 6 states of the Western Balkans. If the EU admits these 6 states and, possibly, another 2 or 3 from its eastern neighbourhood, it will have over 35 members. 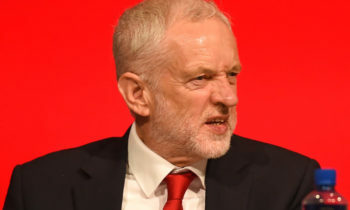 And what we are trying to explain to all candidate countries that want to join the EU as soon as possible, is that in a Union of 35 or 40 members, the smaller states will not be able to play a major role. Greece, too, is among the small member states, but the other states of the Western Balkans are even smaller. Consequently, only if there is collaboration and collective representation and defence of interests, only if we create networks and build synergies in the region will all our voices be heard in the Union. Very briefly, I see our region’s history described in three parts, from 1989 on. The first part is the 1990s, when, following the collapse of the communist regimes, Greece and other countries, such as Austria and Italy – and later Germany and France – made investments and tried to create networks, ties between the various states. Then, came the Thessaloniki decisions, in 2003-2004, which moved in the direction of enabling these countries to join the EU and there was competition between the region’s states for accession to the EU. The internal ties between the states of the Balkans were lost, and everyone focused on the effort of becoming candidate countries, first, and then join the EU. The economic and social ties that had been built between the Balkan states in the 1990s slackened. What we have to do today is develop a future-oriented strategy that leads to convergence: This means that, of course, these countries have to join the EU, but at the same time they should also rebuild the relations amongst themselves, so that they can be stronger even within the EU. Based on this strategic choice, on the level of Balkan countries, apart from the Cross-border Cooperation I already mentioned, we have developed a cooperation formation among the region’s EU member states -Croatia, Romania, Bulgaria and Greece- because we have common interests in the context of the policy on Southeast Europe. There is also a special configuration that includes Greece, Bulgaria, Romania and Serbia, designed to help Serbia -and perhaps, in the future, Montenegro- prepare to join the EU. The sixth principle is that one must have a strategic plan. In other words, a plan for how one sees one’s position in space and time, and one’s relations with others, shaping alliances with mid-/long-term targets over time. An example that illustrates this principle is that we have shaped in the Eastern Mediterranean six cooperation formations that are part of the multicultural and multidimensional foreign policy we are exercising. Greece and Cyprus, two EU member states, have special and separate trilateral cooperations with Egypt, Israel, Palestine, Lebanon, Jordan and Armenia. These cooperation schemes have two dimensions: collaboration from the level of Presidents or Prime Ministers to the level of Ministry Directorates. Moreover, this is a horizontal cooperation, in which all Ministries participate. The most advanced cooperation is with Egypt and Israel. The newest cooperation scheme is with Armenia. The seventh principle is how one deals with certain difficult contradictions. The most difficult system of contradictions for our country’s foreign policy is Turkey. Turkey is a system of contradictions. That is how we see it. And the interpretation part is very important, because it mitigates the sense of what we fail to understand, which is inherent in a contradiction, facilitating subsequent action and good handling of the contradiction. Turkey has ‘traditional’ contradictions, as well as new ones. The new ones are more political in nature, while the older ones have to do with the very matter of their nation and society. They have 17 or 18 million Kurds, of whom about 5 million live in Istanbul, one of the most beautiful cities in the world. They have contradictions in their social and economic stratification. In Istanbul and Izmir there are parts of the economy that are very dynamic and integrated into the global capitalist system; large and modern structures. And at the same time, they have structures, especially in Anatolia, that are still feudal. But they also have contradictions of a political nature. In Turkey, you have the coastal regions and the hinterland. On the Turkish coast, which looks to the west, the Aegean, and to the South, over 60% of voters in the recent referendum and elections voted against Erdoğan. This was also the case in the large cities -even in Ankara, but also in Istanbul and Antalya- where the majority of Turkey’s intellectuals and middle class reside. These people have a more western orientation. In contrast, the people in the hinterland are oriented towards a model, in which Turkey leads the region, and this was clearly reflected in the different ways these two groups voted. The newest contradiction is that the Turkish leadership is wavering between arrogance and self-confidence. They managed to avert the coup d’etat, they invaded Iraq and Syria, they belong to the G20. All of this bolsters Turkey’s self-confidence, but sometimes it also makes Turkey arrogant -and this is something we have experienced first-hand. But sometimes the Turkish leadership is seized with insecurity, perhaps due to the deplorable coup in the summer of 2016. It is an insecurity linked with fear. And this mixture of self-confidence and arrogance, insecurity and fear makes the Turkish political system -at least as we interpret and experience it- restless. Turkey is also a revisionist power. It does not want to honour international treaties. It wants to revise them. For example, Turkey’s invasion of Syria violated the Treaty of Lausanne and International Law. This restlessness, together with the revisionism led by Erdoğan -whom I personally regard as an important personality- is causing a number of problems in our region. We always try to reduce tensions, but this is a difficult art, and you have to have a talent for it. In other words, the ability to follow a policy of reducing tensions without creating the impression that you are weak, that you are backing down out of fear. You must not back down from your principles and values. We have a different outlook on the value of life and of warfare. This is a policy of responsibility. And this, by and large, is the policy we follow with Turkey: we engage with it, we want dialogue and cooperation, but when the need arises we stand firm. And that brings me to the eighth principle behind our policy: Greek foreign policy acts within the framework of International Law. We believe that International Law is the tool with which one handles international conflicts, interests, contradictions. And the Cyprus problem is a very characteristic example of this. Last summer, and throughout last year, we negotiated a great deal on the Cyprus issue. A major twelve-day round of negotiations took place in Crans-Montana, in Switzerland, during which we negotiated day and night. An important question was raised there: what is the core of the Cyprus problem? Is it the conflicting interests of the two communities, the Greek Cypriots and the Turkish Cypriots? It is that too, in part. That is why I always argue that the Turkish Cypriots should be given the maximum rights possible. Moreover, the interest of the three smaller communities -the Armenians, Maronites and Latins- need to be protected, because most people overlook the rights of these communities. And the Greek Cypriot side must be given the maximum sense of security possible. But the question remains: what is the fundamental issue of the Cyprus problem? In my opinion, it is the following: the issue of security, the problem of the illegal occupation of the northern part of Cyprus. The northern part of Cyprus is the most militarized region in Europe. Until last year, 44,000 soldiers were stationed there for 92,000 Turkish Cypriots and a total population of 200,000. The ratio is one soldier to every two Turkish Cypriots, or one soldier to every family if one counts the settlers. On the Cyprus problem, we are in favour of a solution whereby Cyprus must become a normal state, a member of the EU and the UN. It must fully enjoy all the rights of a normal state, without third-party ‘rights’ of intervention. The ninth principle is that our policy needs security structures, especially in the Eastern Mediterranean. Because we have the Cyprus problem, we have the issue of the islands located close to Turkey; islands for which some people in Turkey are asking, “Why should these remain Greek?” In other words, the strong deterrent force the country has -unlike other countries in the region- and that ensures that others will think very carefully before doing something that will cost them dearly. 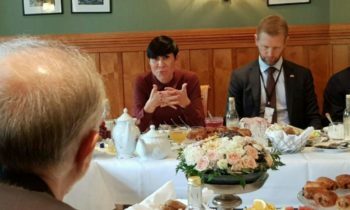 Moreover, very much like Norway, it is our strategic choice to be part of collective security mechanisms, such as NATO, as well as to work with our European Union partners and allies to enhance the means and capabilities of the EU. There is another similarity, by the way, between Greece and Norway. We are both rather medium to small size nations in terms of population, but we are amongst the biggest maritime nations in the world. Greece has the second longest coastline in Europe (more than 12.000 km), second only to Norway. These are comparative advantages that upgrade our role on the regional and the international level. The tenth principle is, to upgrade the role of our ‘small’ state. But how can we do this on the international stage? We need to do it through the EU, if possible. But how can we do this? What is great in this small country? Culture. In this context we took another initiative. Had we taken this initiative alone, it may not have been so successful. This initiative is the Ancient Civilizations Forum; a forum bringing together nations that gave birth to great civilizations, that remain alive still today. So, we created a group of states comprising China, India, Iran, Iraq, Egypt, Armenia, Italy, Mexico, Peru, Bolivia, and Greece. Other states have asked to participate. We will see how this initiative proceeds. The Presidency of the Forum has now been passed on to Bolivia. The eleventh principle is to maintain the best possible relations with all sides, to the degree they make this feasible as well. This does not mean we want to be liked by everyone and at any price, but that we treat everyone with respect, and that whatever we don’t understand, whatever is different about them, we do not reject but instead treat with interest and respect. And this is because our long history has taught us that we must not rupture our ties with other countries, as we are sometimes asked to do. This happens mainly with countries like Egypt and Iran, with which we have had relations for thousands of years. Younger countries find it difficult to understand that these thousands of years have perhaps passed into our upbringing or our education. We also see the benefits of working to build new friendships with states we had no significant relations with in the past, like Colombia, South Korea, Singapore and others. The final, twelfth point is that a country like ours must be a country oriented towards peace. It cannot exercise an aggressive foreign policy. It must show other capabilities and another dynamic. Greece must come across as a negotiator, an honest broker -as we indeed are, as is Norway, in relation to the conflicts in the Middle East and in the Balkans, in which we do not participate- and as a country that consults. We all need to talk more, to think more. E. I attempted, to draw a picture of the principles guiding Greek foreign policy and how these translate into initiatives. We have managed to function as a pillar of stability and peace, of social justice, of equal relations between states based on international law, with respect for cultural pluralism and dialogue for dealing with all problems. We have done so in an unstable region. Like Norway, we are a country that knows how to mediate, to find solutions when interests collide. This is something we are proud of, even when our efforts are not always made public. What counts in diplomacy is success, and that is not always measured by reports in the news media. Thank you lending me your ears!